Hello all. What's a good image viewer for XFCE that uses the gtk file picker with previews? In Debian Ristretto is included under xfce4-goodies package but that doesn't use the file picker with previews on the right side. Seems like an image viewer would definitely know to have previews but I guess not? Thanks for any suggestions! Right now I've got gwenview installed but I'd like to get something simpler. Thanks! Mirage is cool too but left and right arrow keys don't seem to be working right, not scrolling through images. We are shipping Nomacs by default now, and everybody seems to like it very much. 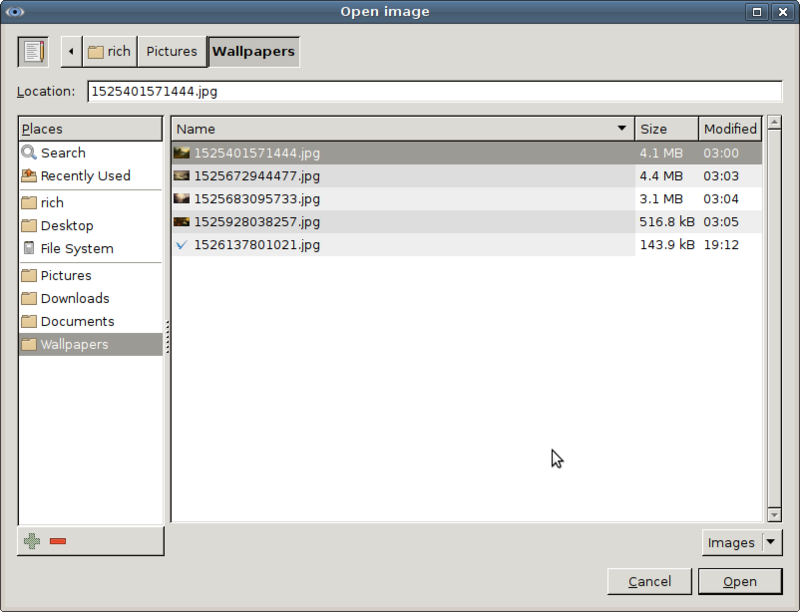 Nomacs is good, but it doesn't include image preview in file picker. Mirage I'm liking more now, custom actions (set image as wallpaper? ), hotkeys still weird though as direction arrows do not work to scroll images but can workaround using page up and down keys. Hm oh well that might work. Has crop tool too. I'm looking through mirage.py to see if I can get arrow keys working. Ok I was able to find a more recently maintained mirage and package it. Arrow keys work fine, everything works fine I think I'll use this.